INDUSTRY.co.id - Jakarta - The Chamber of Commerce and Industry (Kadin) expects ministries to revoke ministerial regulations impeding investment after President Joko Widodo called on ministers to be cautious in issuing rules. 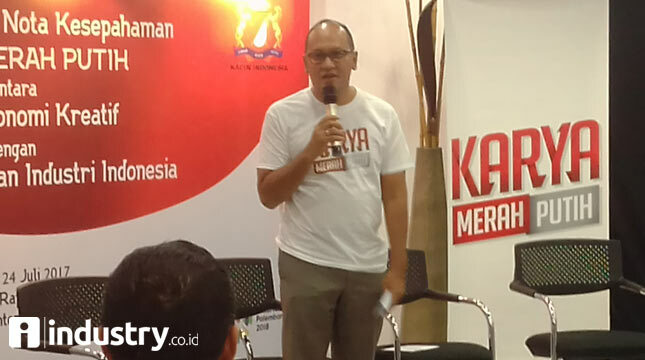 "For the development we need investment, the policy should not be conducive, it should be abolished, every policy is thought to be the multiplier impact how," said Chairman of Kadin Rosan Roeslani in Jakarta yesterday. According to Rosan in a written statement, the president's desire is very clear that it wants to increase investment into Indonesia so that economic growth grows and the workforce can be absorbed. However, he said, by his aides translating as the president expects, for example there are some ministerial regulations that do not support the growth of the business world. "The President wants to ease the policy to increase investment into Indonesia, so it should be translated correctly by the ministry, the policy under which the implementation should be the same," he said. Rosan also highlighted the existence of policies that overlap and contradict one rule to another, so that conditions make it difficult for business actors to run their business. Therefore, he asked the government to harmonize the policy, especially some regulations issued by the local government. Chairman of the Standing Committee of Food Security Chamber of Commerce Franciscus Welirang also acknowledged the existence of some ministerial regulations that hamper investment so he asked the relevant minister immediately revise the regulation. "If it is not revised soon, then the entrepreneur will certainly not increase the investment, if there is no investment, then tax will not increase," he said. Deputy Chairman of Standing Committee of Plantation Kadin Teguh Patriawan asked the minister to be wiser in issuing ministerial regulations, because government support through pro-investment regulation is needed by the business world. Investment is needed to support development. Because it cannot be all done by the government in development there is a share of government, employers, and society. So we expect the government as a regulator to prepare a good regulation and support the business world," he said. As known, in a cabinet meeting at the State Palace on Monday (24/7), President Jokowi reprimanded his ministers to be careful in issuing ministerial regulations. According to the president, the interests of the business world should be a reference in the making of ministerial regulations. "I would like to remind all of us, to ask the ministers once again to be careful in issuing ministerial or candy regulations before you issue something, calculated, calculated, given time to warm up Communication with the community and stakeholders is also done first Until publishing candies that could hinder the business world and only increase the authority of the ministry itself," said the President.